Trying to get young kids to eat is like trying to put makeup on a cat – if it doesn’t want it, it’s not happening. The Argentinean arm of mega-creative group Wunderman has come up with a way to make mealtimes for fun for little kids in the hopes that it will encourage better nutrition and a healthy relationship with food. 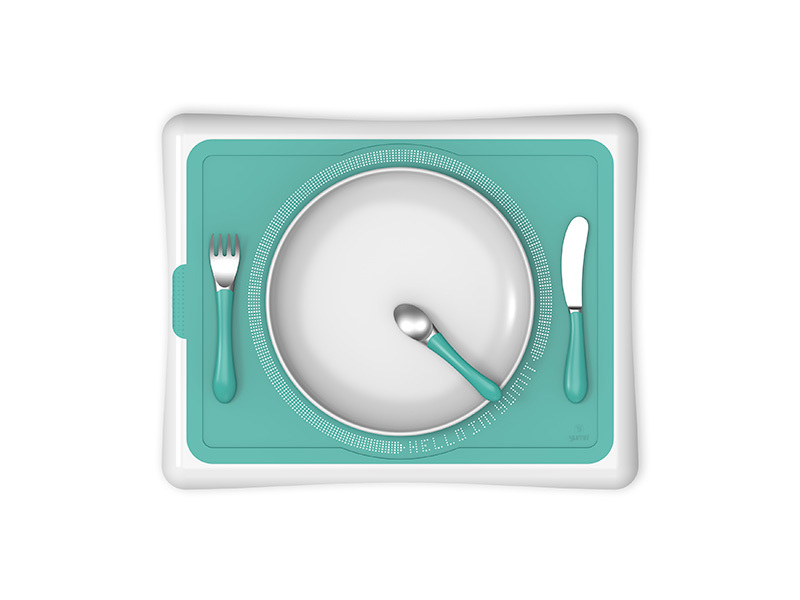 Yumit is a high-tech interactive meal set that tracks every last bite your kid eats (or doesn’t eat). 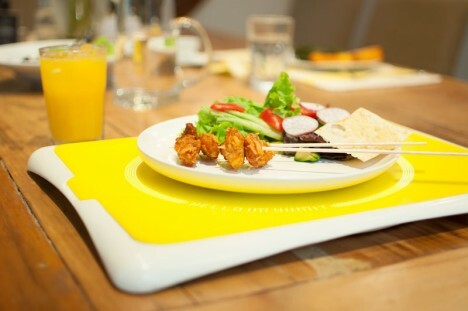 The main piece of the set is a placemat that doubles as a digital scale. When you put a meal in front of your child, the scale registers the exact weight and uses that as a starting point to gauge how much Junior eats. Every bite he takes translates into a sort of currency or energy to use in games across a variety of platforms. The more your mini-you eats, the more energy he saves up for his next session of screen time. The idea is that the promise of future fun will help kids focus on eating when it’s time to eat, instead of taking an hour and a half to eat three grapes and a square of cheese (we’ve been there). The hardware itself is colorful and kid-friendly. 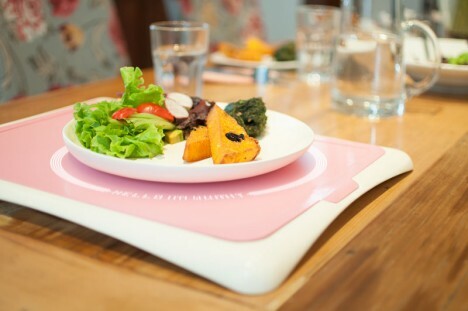 The placemat/scale is covered in a washable, heat-resistant silicone. 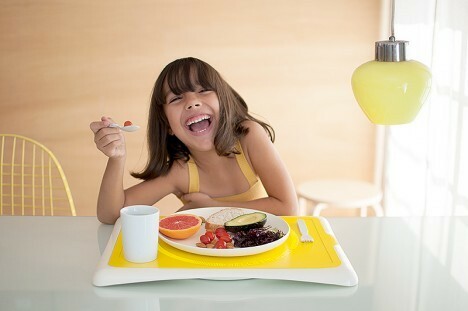 A small strip of multicolored LEDs under the surface keep kids visually engaged during mealtime. The melamine plate and silicone-coated silverware are resistant to all kinds of havoc little hands can wreak on kitchen stuff. The video games that go along with the system haven’t been developed yet, but eventually Yumit will be open to developers. As parents, we have a few concerns about the idea of encouraging eating with the promise of video games. When we were little, our incentive to eat was the threat going hungry the rest of the day or – even worse – getting a punishment from mom. Will incentivizing and rewarding simple, completely necessary actions lead to a generation of kids who feel entitled to reward for everything they do? Maybe, but when you’re completely desperate to get your toddler to eat something – ANYTHING – even that risk seems low in relation to the possible benefits. See more in Home & Personal or under Gadgets. October, 2015.